Iain originally started training as an accountant before moving in to retail banking and on to management. From that point Iain established and led a substantial team within the bank's trust company before establishing Allan Investment Management, with his wife, Diane in 1992. Since then Iain has overseen the acquisition of two other IFA firms and he continues to enjoy building the business and maintaining relationships with clients. Iain holds the full Diploma in Financial Planning. Outside of the office, Iain enjoys sailing, cycling and travelling. Diane, along with Iain, was the co-founder of Allan Investment Management and has been instrumental in the success of the business and its growth. Including AIM, Diane has worked in financial services for thirty years and currently runs the main office. Diane is always on hand to answer any query and enjoys maintaining and creating client relationships. Diane also enjoys horse riding, gardening, cycling and sailing. Tony has worked in financial services for thirty six years and has been an Independent Financial Adviser since 1990. 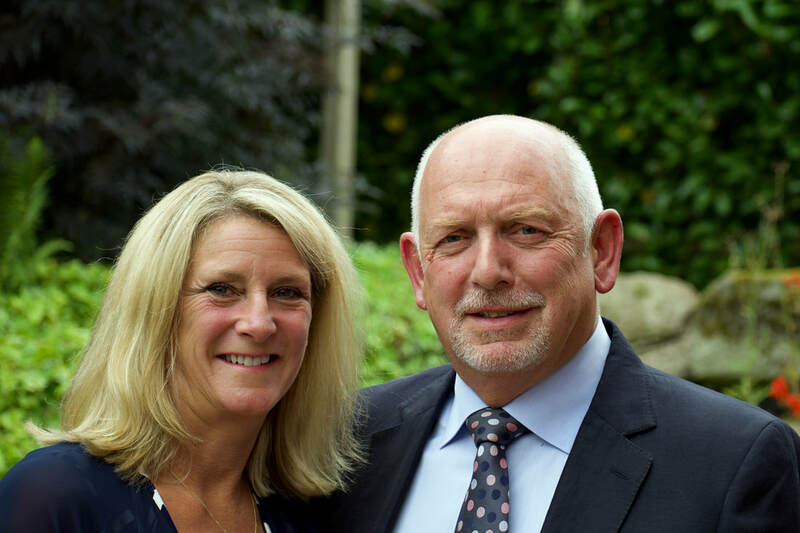 Previous to joining AIM in 2011, Tony ran his own successful IFA business for many years with his wife Carolyn. Tony holds the full Diploma in Financial Planning. Tony still enjoys his role as Ambassador with AIM, as he very much continues to value the interaction with clients and the friendships built up over a quarter of a century. Tony also enjoys spending time in his garden, DIY and the countryside. Carolyn was pivotal to the success of her previous firm and has been an asset to Allan Investment Management since her arrival with Tony in 2011. Carolyn’s main work involves conducting product research, report writing and co-managing the firm's back office software along with Diane. Carolyn holds several industry qualifications and is currently working towards completing her Diploma in Financial Planning. Away from the office she enjoys working on the garden, caring for her animals and cycling. Prior to joining Allan Investment Management Mark spent several years at university both in the UK and abroad in the US. This culminated in Mark graduating with an MA in Political Science from the University of Tennessee. Along with winning the Graduate of the Year title Mark had several articles published and was offered a fully funded PhD. Mark works as the Research Analyst for AIM and is currently studying for his full Diploma in Financial Planning, along with nearing the completion of the Investment Management Certificate (IMC). Away from the office Mark enjoys playing most sports, especially golf and cricket.